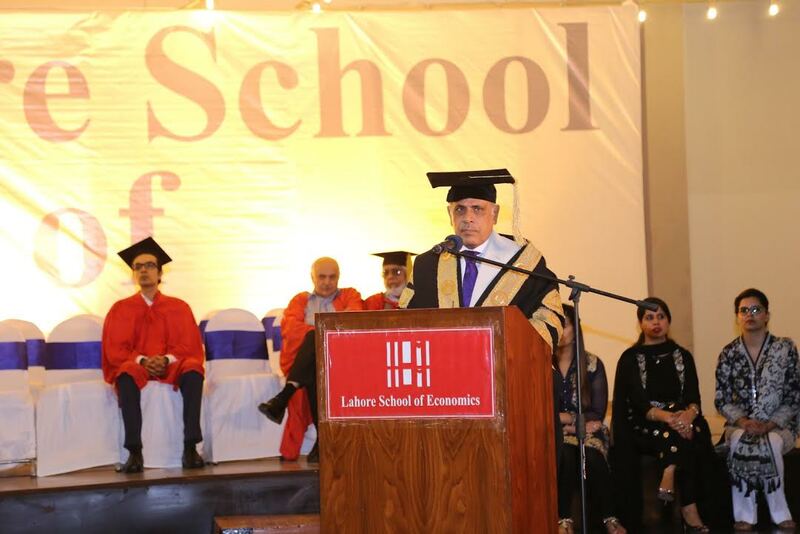 Lahore School of Economics’ thirteenth Annual Convocation was held on 29 October, 2016. 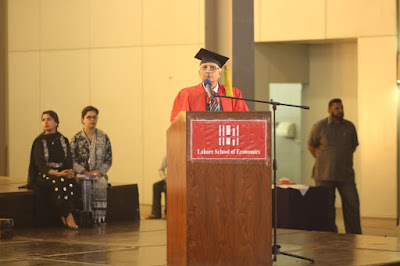 Malik Muhammad Rafique Rajwana, Governor of the Punjab, conferred degrees and awards to 842 graduates of the class of 2015 comprising 437 BBA (Hons) graduates, 92 BSc Economics (Hons) graduates, 17 BS Social Sciences (Hons) graduates, 189 MBA graduates, 90 MBA Professional graduates, 2 MSc Economics graduates, 5 MPhil in Economics graduates and 10 MPhil in Environmental Sciences graduates. 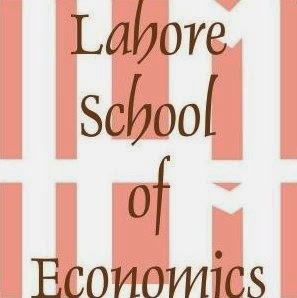 The Governor lauded the role of Lahore School of Economics in core specialization of Economics, Finance, Business Administration and related fields of studies. 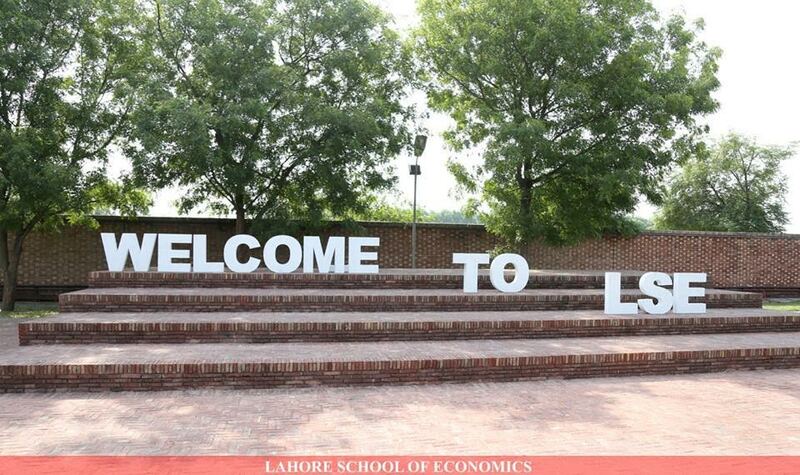 Earlier, Dr. Shahid Amjad Chaudhry, Chairman and Rector of the Lahore School of Economics presented annual report of the School and highlighted its achievements during the academic year. The Lahore School of Economics has developed over time to combine its specialization in Business and Economics with Social Sciences including English Language and Literature and Political Science, Media Studies Art and Design and Basic and Applied Sciences including Mathematics and Statistics and Environmental Science and Policy. 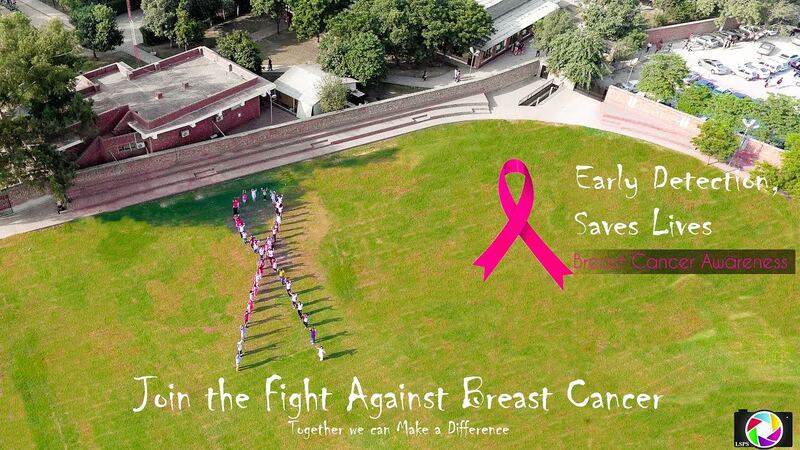 Lahore School of Economics organized Pink Ribbon Campaign which is “to stood united against a cancer” on 19 October 2016. 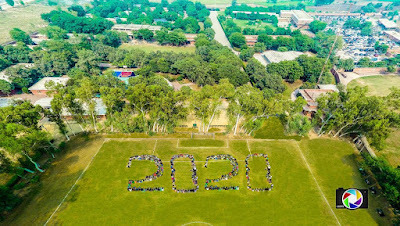 The honor of joining hands with such a noble organization was given to Lahore School Social Welfare Society (LS-SWS), which is made up of creative individuals who dedicate their time in bringing a sustainable change in the society. This year proved to be special as LS-SWS was able to make a contribution by raising good amount of funds. 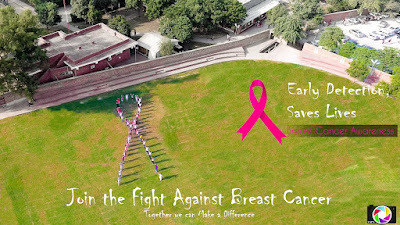 LS-SWS hosted a one day event from bake sales to sports events planned for the student body with two main objectives: creating awareness about breast cancer in women and raising funds for a hospital being constructed for breast cancer patients in Pakistan by Pink Ribbon Organization. An interactive games session followed after the speeches that served to break ice between members. Participants were each given a name of a fictional character to draw on a board with set rules. The audience guessed the character as the clock ticked away. The activities set a cheerful tone to the event. The new team presented a list of planned events for the upcoming months such as Slam Poetry Competition, Themed Fan Fiction Event, and Writing Workshop etc. 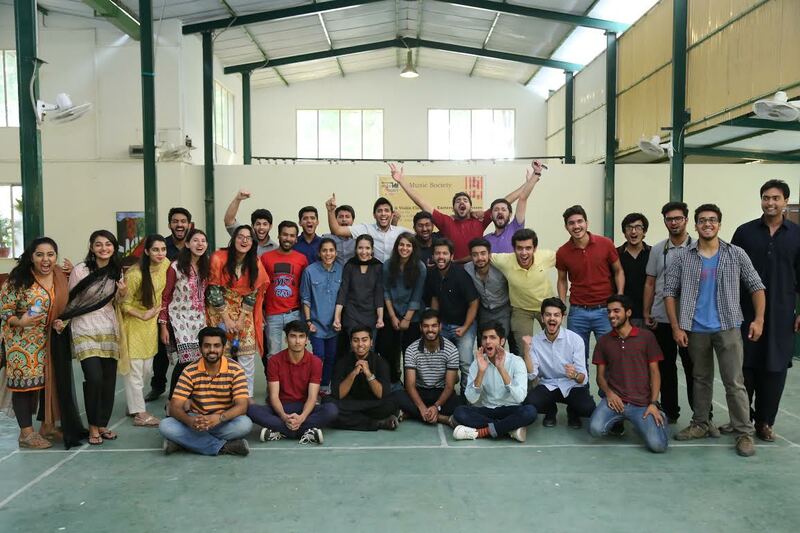 The entire team showed its enthusiasm to kick start things with a bang. Lahore School Dramatics Society conducted its first workshop for the term on 16 October 2016 in Garden Café. The main aim was to encourage members and to incarnate their natural ability to pretend and act. In order to bring the students into the comfort zones they were warmed up with the games like “Splat,” “Molecule Walk” and “Trust Fall”. Different impromptu scenarios were given to them to act out. In this introductory workshop basics of stages acting were discussed. 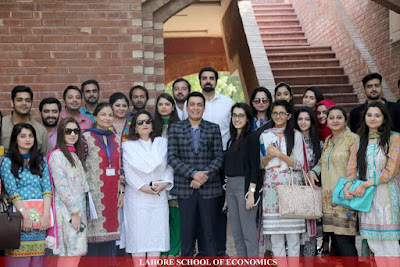 Ms. Quratulain Ibrahim, the CEO TNS Aftab was invited on October 07 2016, to the Lahore School of Economics to deliver a lecture on ‘Consumer Behavior’ to the MBA students. Ms. Quratulain Ibrahim defined consumer insight as a sense used by the marketers to understand human feelings and underlying beliefs. She stated that everything humans did stems from their passion and so it was very important for the marketers of today to understand what motivates target customers and their emotions. 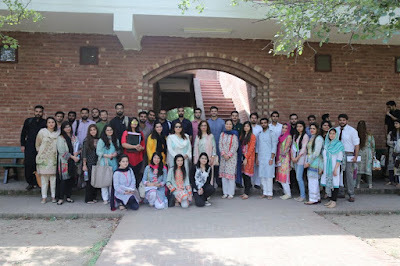 The Lahore School Character Building Society held its orientation, for the Academic Year 2016-2017, on 7 October 2016. 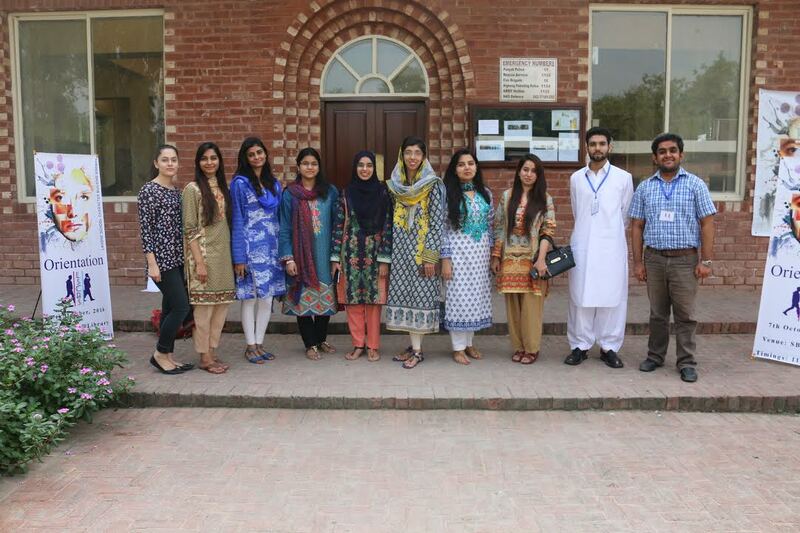 The aim of the orientation was to familiarize students with the Society. 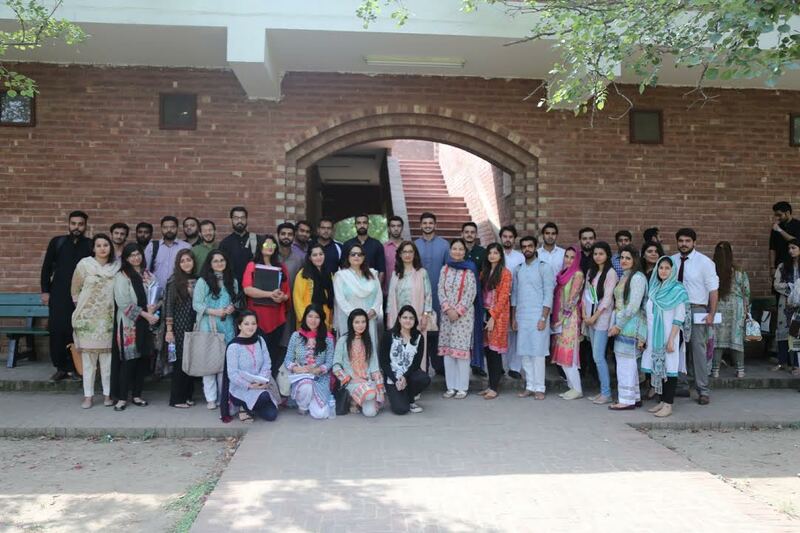 The Vice president of the society, Ayesha Wajih introduced society’s aim - to help student learn various skill, such as stress management and time management, which will help them grow, and be successful in their professional, as well as personal, lives. 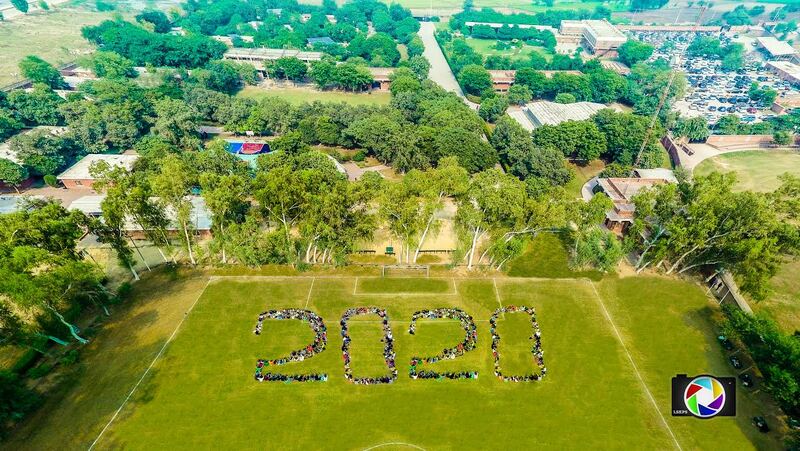 The President of the society, Aiman Asif, then said that the aim of the society is to help the youth in tackling various issues they face in their daily lives. The audience was also briefed about the events held last year. They were also informed of the various events the society will be organizing during the year. The Orientation concluded with a video, which was a revamp of our very successful stereotyping campaign. On October 7, 2016, Ms. Quratulain Ibrahim, CEO TNS Aftab delivered a lecture on ‘Consumer Behavior’ to the MBA students. "Everything humans do stems from their passion so it was very important for the marketers of today to understand what motivates target customers. Given the exposure and internationalization, real power is in the mind of the consumers." 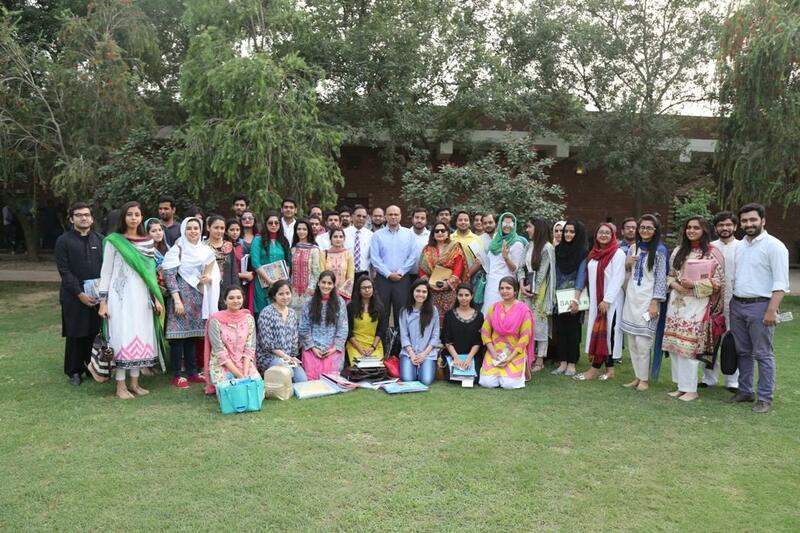 Lahore School Social Welfare Society organized its orientation on 3 October 2016. 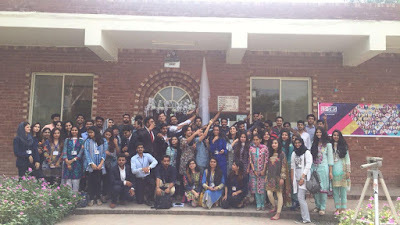 The objective of orientation was to introduce the society to the first year students and urge them to join the welfare activities to eradicate the social issues that prevail in society. The short video was shown which highlighted the achievements accomplished in previous years. 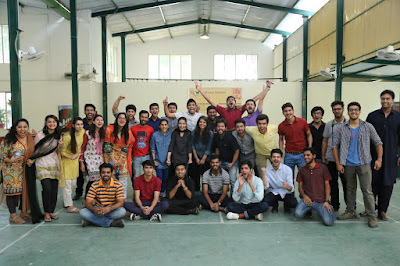 President Umer Khan motivated the members to believe in the “goodness within” and use it as a force to bring positive change around the world. Former President Tayyab Ifzal and Vice President Mohad Ghani were invited as guest speakers. Both of them shared their experience and importance of extracurricular activities especially social welfare to improve one’s understanding of the issues we face as society. They stressed that social engagement not only improves personal skills but also enhances one's ability to manage various things at the same time. The speeches were followed by mind games and presentation of the action plan. The Lahore School Marketing Society organized its orientation on 28 September 2016. 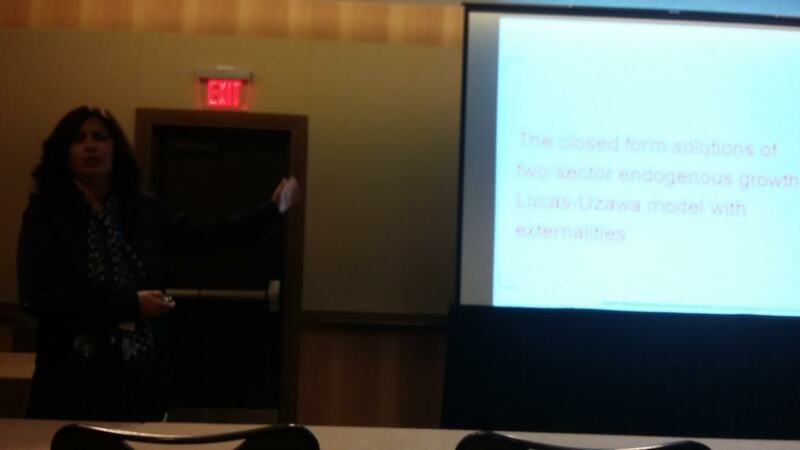 The session began with a brief introduction about the society. The video was shown that depicted the past achievements of the Marketing Society. Afterwards semester plan 2016 was shared. 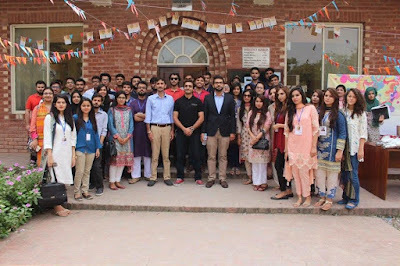 Two guests were invited for the orientation: Mr. Umair Sheikh who is an entrepreneur shared his views about the importance of Marketing in the modern world. He also shared how marketing knowledge that helped him to make Arazi.pk a successful venture. The second speaker Mr. Osama Jawad who is the Manager Administration at Center of Entrepreneurship; shared the importance of marketing by specifying the usage of research and analysis in order to gain deeper insight about the concepts of marketing. Sajid Abdullah who is the Ex-president of the Marketing Society runs his own business Muawin; shared his experiences regarding the benefits and motivated the students to actively engage in societies. Dr. Aamir Khan highlighted the significance of Marketing Society as a platform for students to experience academic life beyond classroom setting. Lahore School News and Broadcasting Society organized (LSNBS) organized its orientation on 19 September 2016 to acquaint students with the society’s formation, vision, achievements and the significance to invite them to join. This is the society which gives its members chance to work with all the present societies and participate in local journalism events. The orientation this year was live which grabbed the attention of not only the freshmen but also the alumni who are looking forward to the society’s upcoming plans. 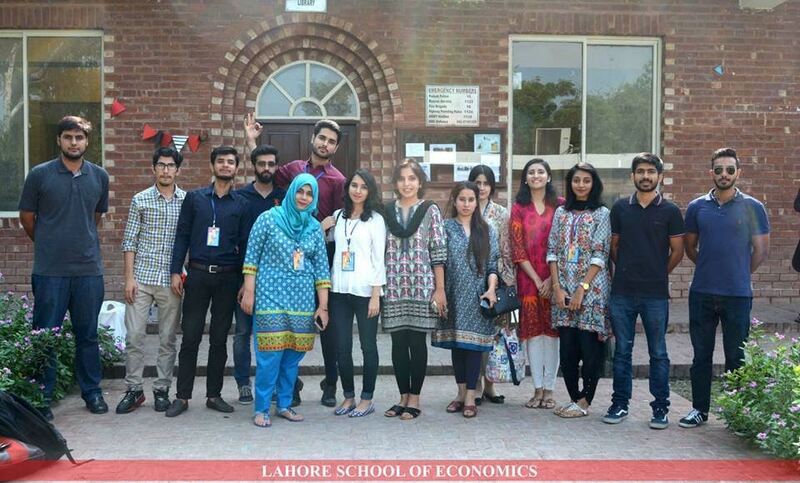 In order to facilitate the freshman (batch 2020) Lahore School of Economics observed the Orientation Week from 5 till 7 September 2016. 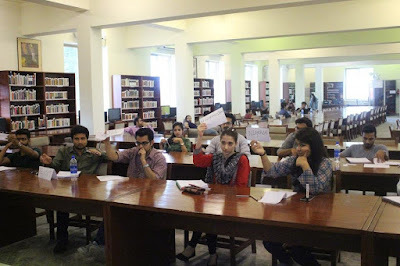 The purpose of orientation was to help students to settle into university life and familiarize with necessary guidelines. The week was marked by several activities. Booths were set up at different areas to provide general information about the university life. General booths contained information about the program offices, financial assistance office, extracurricular office, placements office, business development center and corporate social responsibility. In Garden Café, different societies held their stalls and pitched their thoughts about societies and explained the purpose behind. Different fun-filled activities were carried in order to grasp the attention of the students. Mr. Ali Akbar, Director Marketing at Coca Cola Export Corporation, visited the Lahore School of Economics on 6 October 2016, to deliver a lecture on Consumer Behavior to the graduating MBA class. The speaker defined Consumer Behavior as a reaction by a consumer to a product. He said that marketing meant developing a connection with the consumers by speaking to the consumers' mind and making consumer react in a certain way. According to the speaker a way of developing communication with the consumer is to make the product attractive by improving its packaging. 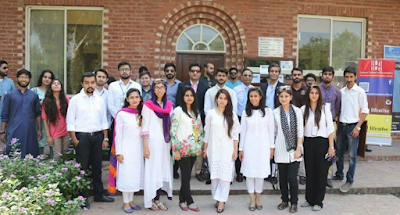 Mr. Arsalan Khan, Sales Head – Nestle, was invited on September 30, 2016 to the Lahore School of Economics to deliver a lecture on ‘Sales Force Management’ to the outgoing MBA students. “What matters most is your response to a position or an opportunity. Sales managers were no longer just implementers of strategies but had become commercial managers who ensured efficient channel management takes place,” said the speaker. Dr. Rehana Naz Associate Professor of Lahore School of Economics, organized a special session “Qualitative and Quantitative Techniques for Differential Equations arising in Economics, Finance and Natural Sciences” in 11th AIMS conference on “Dynamical Systems, Differential Equations and Applications” held in Orlando USA from July 1 to July 5, 2016. Mariano Torrisi (University of Catania, Italy); Celestin Wafo Soh ( Jackson State University, USA) and Imran Naeem (LUMS, Pakistan) were also part of organizing committee. Eminent mathematicians, physicists, statisticians and economists from all over the world attended this special session. The details of all papers presented in special session can be found here. Saturday, October 29, 2016 at 2.00 pm. All recipients of the MPhil, M.Sc., MBA, MBA for Professionals, BBA (Hons. ), B.Sc. (Hons.) and BS (Hons.) Degrees for the year 2015 are required to contact the School's Office, to register for receipt of their degrees from October 10, 2016 till October 28, 2016 from 9.00 am to 3.45 p.m.
Meet with the respective Programme Managers (J-12/ J-10) and check that your details (name, degree title, year, CGPA) have been entered correctly. Your gowns and hoods will be available at Office (FH- 2) on October 24 to October 28, 2016. Will be held on Saturday October 29, 2016 at 2:00 pm at the Lahore International Expo Center, 1-A, Shahrah E Expo, Johar Town, Lahore. 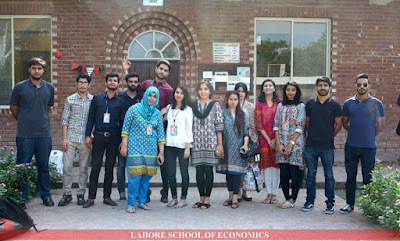 Lahore School of Economics Association of Debaters organized Intra Model United Nations '16 on 10 September 2016. The committee room debated on "South Asia's biggest problem; the Kashmir issue". An approximate of 18 delegates showed up in the session which continued for 4 hours. The delegates were able to conduct an above average level of debate despite most of them having no prior experience in it Model United Nations. The event started with an introductory session by the chair to guide the new and interested MUNners. The basic purpose to conduct such an event was to prepare the team for the future events and also to polish the skills of potential debaters. 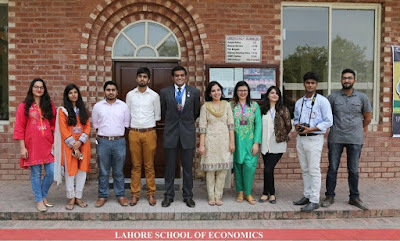 Lahore School Entrepreneurial and Business Society had its orientation on 23 September 2016. 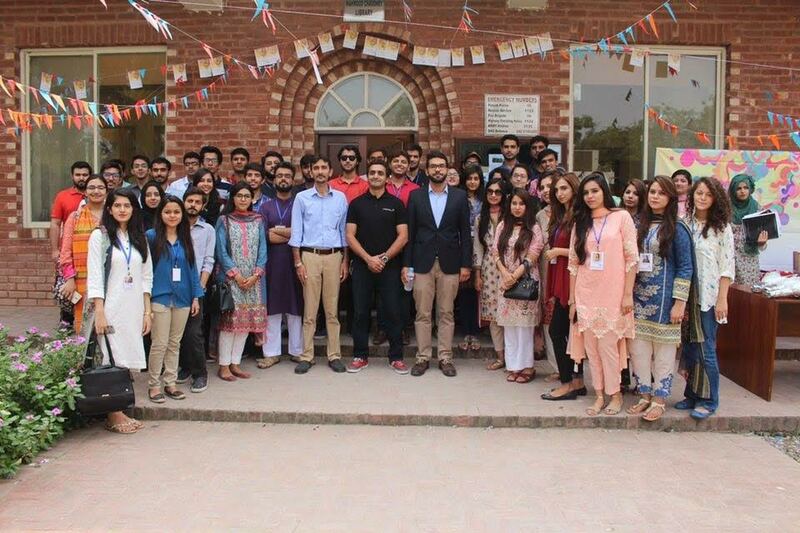 It was an open event for students irrespective of their study year and degree. 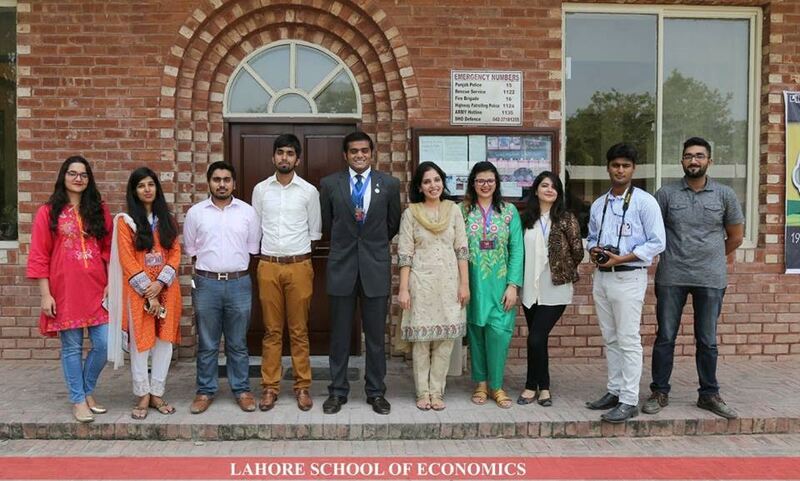 Prof. Fareed A Fareedy, Mr. Faizan Khalid and former presidents also attended the event. Prof. A Fareedy, Faizan Shahid, Moiz Hijazi and Hamza Tariq shared their experiences and perspectives about entrepreneurship.